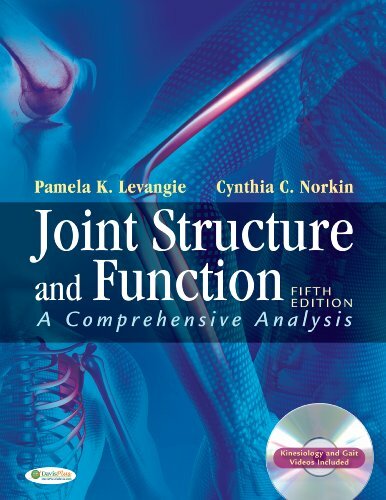 [PDF] Joint Structure and Function: A Comprehensive Analysis Fifth Edition | Free eBooks Download - EBOOKEE! Description: The perfect balance of clarity and comprehensivenessâ€”now more reader friendly and visually appealing than ever. This popular text offers the clear, logical discussions of the basic theory of joint structure and muscle action and provides the foundation you need to understand both normal and pathologic function. The 5th Edition features a dynamic new full color design, videos, and a streamlined biomechanics chapter. Thoroughly revised and updated, it incorporates the latest research findings and techniques, reflecting the textâ€™s emphasis on evidence-based practice. No comments for "[PDF] Joint Structure and Function: A Comprehensive Analysis Fifth Edition".